You will need a good quality basic multimeter that can measure voltage and continuity. Click here to buy a basic multimeter. Click here to buy a top of the line multimeter. Click here to buy a pocket multimeter. Don't forget to learn how to use your multimeter too! 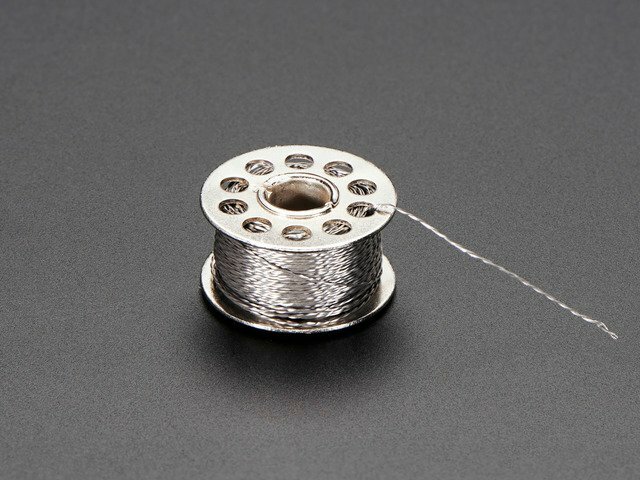 We recommend beginners use an embroidery hoop to stabilize the circuit-supporting fabric during sewing. It makes things a lot easier and results in a better-looking finished project. 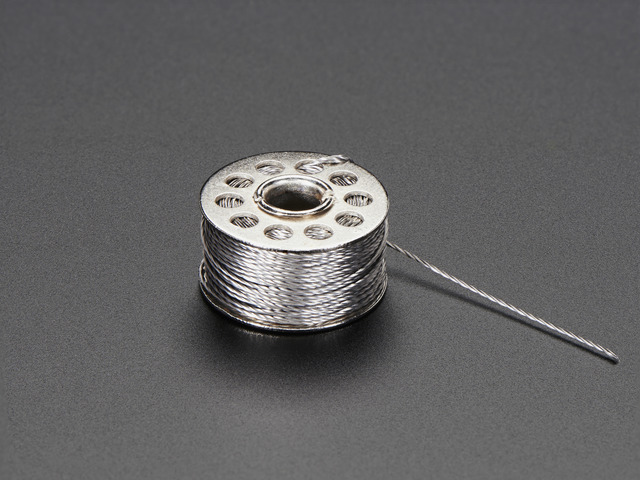 For more information on using an embroidery hoop correctly, check out our Cross Stitch tutorial. 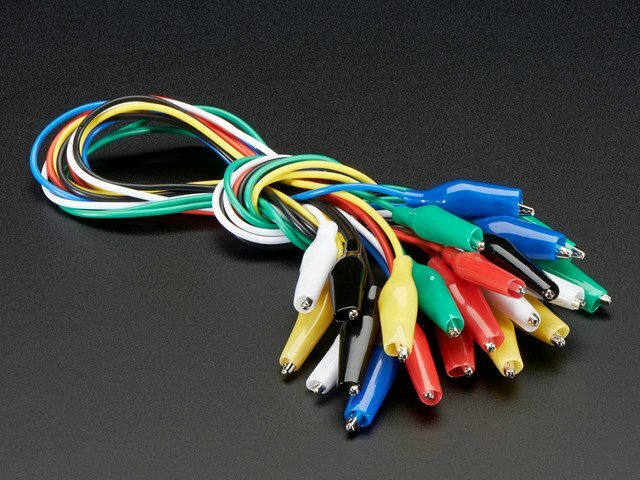 Great for testing out your circuit or mocking up designs, alligator clips can connect different components or clip to conductive threads and your multimeter for measuring continuity and resistance. Click here to buy a set of small alligator clip test leads. 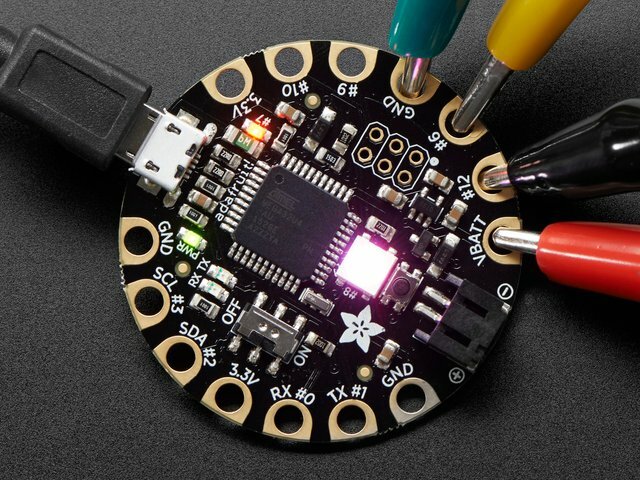 Snaps can be used for quick-connecting circuit boards and also as switches. You can sew them with conductive thread and/or solder them to circuit boards. 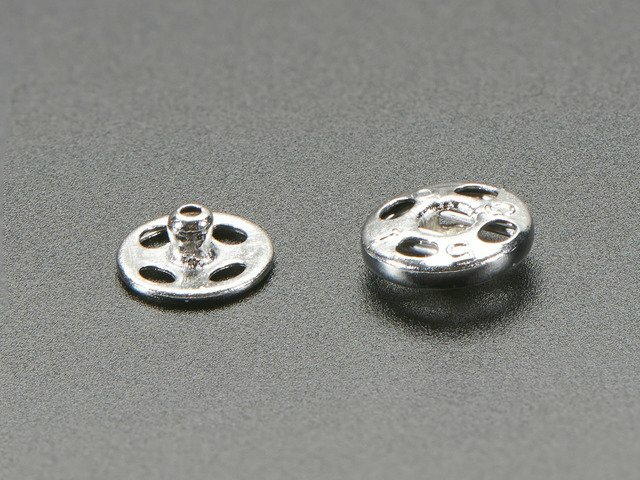 Click here to buy 5mm tin-plated brass snaps. 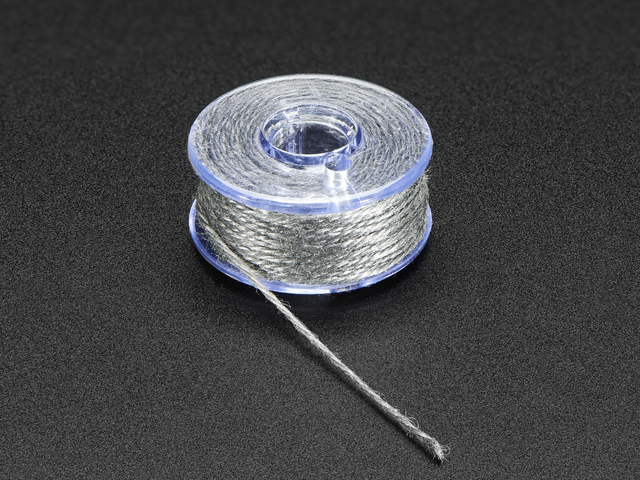 You can also use hooks and eyes, metal zippers, and other metal sewing notions. Experiment! 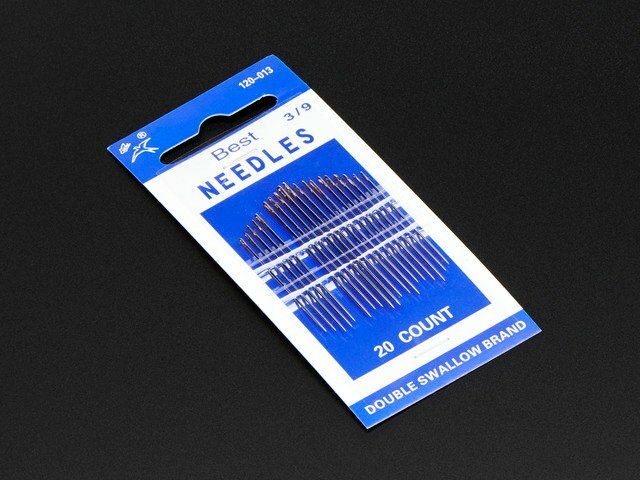 Circuit boards specifically designed for sewing with conductive thread have large pads and through-plated holes large enough for a medium sized needle to pass through. To mark out your circuit use a water-soluble embroidery marker or tailor's chalk. This guide was first published on Jan 02, 2013. It was last updated on Jan 02, 2013. This page (Tools & supplies) was last updated on Apr 22, 2019. Knit with steel, control touch screens!